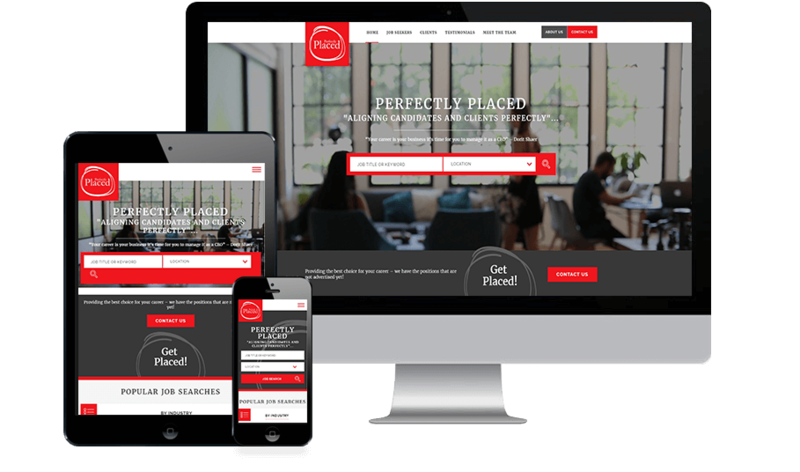 Perfectly Placed, is a highly regarded recruitment and executive search agency who excel at what they do and create solutions for their clients that make a difference. 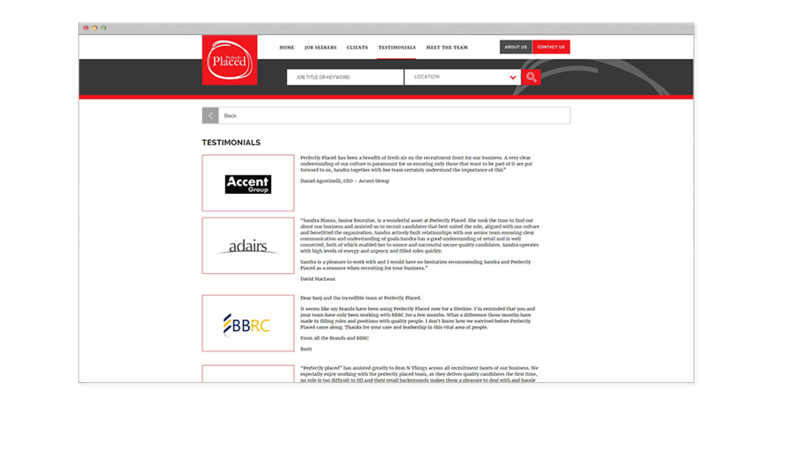 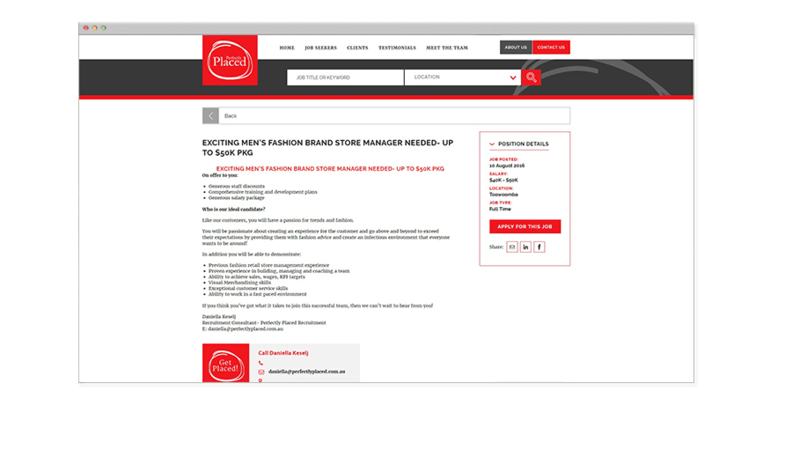 Before launching their new brand, Perfectly Placed turned to Digital Thing to maximise their digital brand presence. 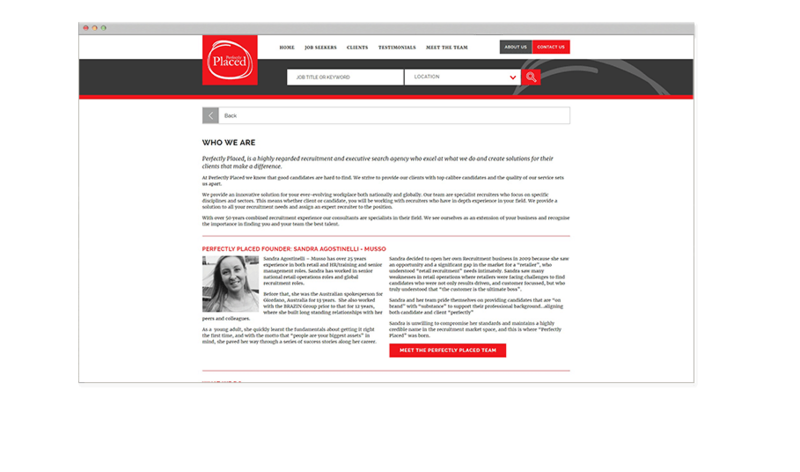 The new site was built using WordPress, allowing Perfectly Place staff to easily add new jobs to their website job board along with managing all other pages on the site. 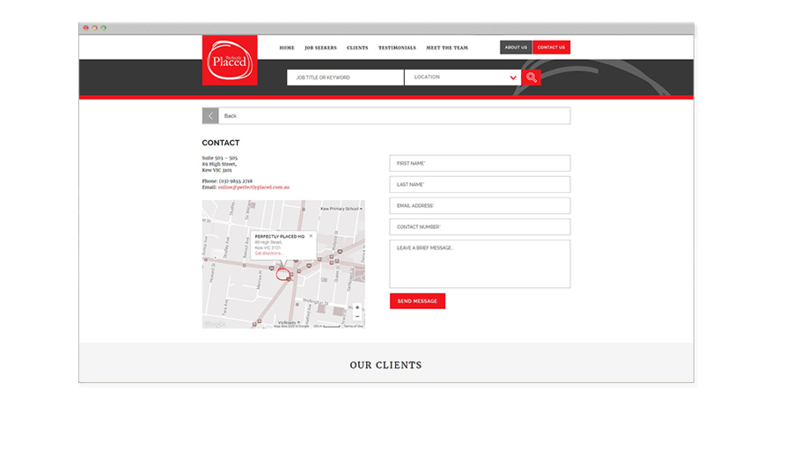 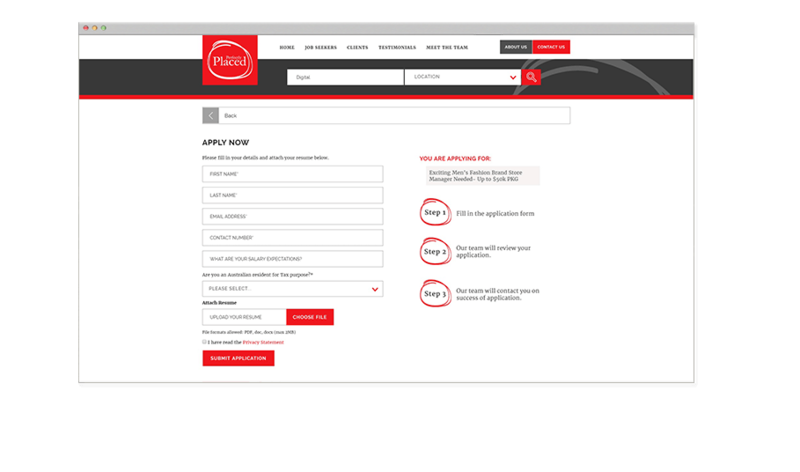 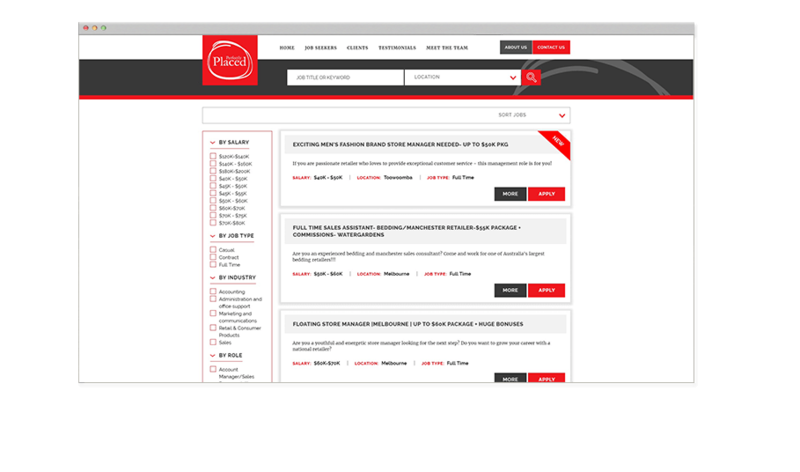 It’s easy to manage – and even easier to navigate thanks to a sharp and simple, fresh interface design from Digital Thing.